Most kids love to read or at least page through picture books. If they want to save their spot, they will enjoy having their very own bookmark that they have made themselves. Popsicle sticks make a great base to start with. You can buy a whole bucket of them from a craft store to use for lots of fun projects. 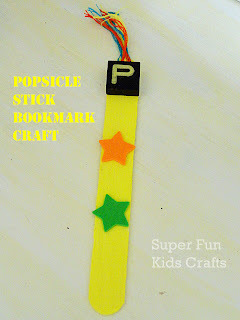 I am going to show you two variations of a bookmark craft that can be easily made with popsicle sticks and just a couple more items. The first one is an initial monogram bookmark and the second is a favorite storybook character bookmark. Paint the popsicle stick in a favorite color with acrylic paint. 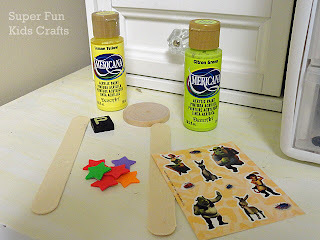 After the paint is dry, attach a letter tile game piece with the appropriate monogram initial using a good tacky glue. Leave some room above the tile to glue embroidery string. Cut a few sections of embroidery, string in different colors, about five inches long. Fold the bunch in half and glue the middle fold to the top of the popsicle stick just above the letter tile. Once the glue is dry, separate the sections of embroidery string to mix up the colors. Add stickers down the length of the stick. 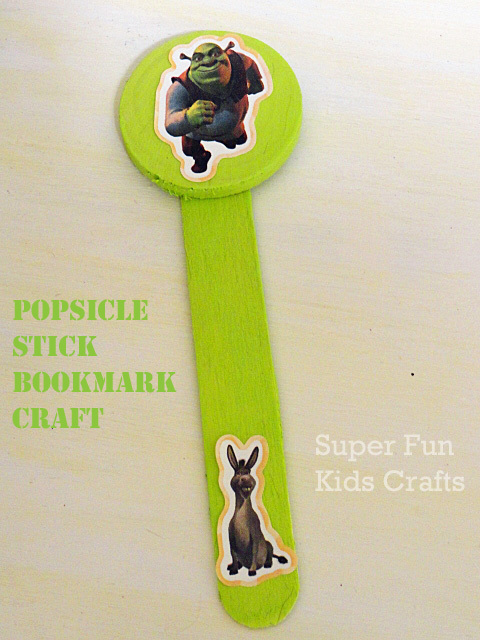 Paint the popsicle stick and woodsie in a favorite color. Glue the woodsie to the top of the stick with tacky glue. Add storybook stickers to the bookmark.